This weekend, over a thousand high school and college students from all over the world have congregated at Texas A&M University to pitch their prototype design ideas for Elon Musk’s Hyperloop. And apparently US Secretary of Transportation Anthony Foxx is totally onboard. The Verge is on the ground at Texas A&M’s SpaceX Hyperloop Pod Competition Design Weekend. It reports that Secretary Foxx described the Hyperloop to attending students as a “very solid idea” and that the federal government has a “responsibility” to back Hyperloop innovation—possibly even help fund the program. 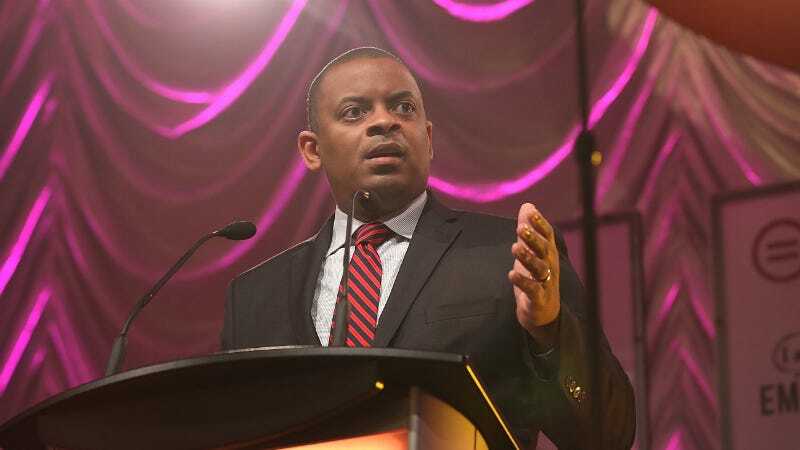 Foxx’s pro-moonshot stance isn’t surprising: He’s backed a lot of emerging transportation technologies. Earlier this month he announced the White House’s $4 billion in planned funding for self-driving car innovations, and he even flew to Japan last year to ride that country’s maglev train, which could suggest that the American government could be interested in importing the tech. Not unlike the internet, the SpaceX-backed Hyperloop is a conceptual series of high-speed tubes—except these tubes could launch you at warp speeds of around 760 mph. It’s completely pie-in-the-sky for some, but for a thousand of young people in Texas this weekend—and for the US government, possibly—it’s something seriously worth pursuing.